Thank you so much for your ministry which has meant so much for Christians who have just arrived in Florence, May God richly bless every one of you. My name is Caitlin Lennington and tonight was my first time worshipping with you all. I just wanted to let you know how excited I am to continue coming for the rest of my time in Florence! I was completely awestruck at the opportunity to see so many stories come together at church tonight. Praise the Lord that he has brought so many students to Florence so that we can join together and worship Him. 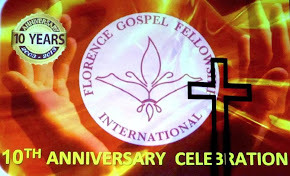 Tonight I found my way to the Florence Gospel Fellowship International Church service. With one step, I left a world, foreign to me, and entered a sanctuary filled with beautiful voices, singing familiar worship songs. Songs that flooded my mind with memories of countless worship serves as a child. The stone walled church echoed with praise all around me, I became overfilled with joy. Lifted hands, fallen knees, and bowed heads; the signs of whole hearted worship. Knowing the treasure I had just found, and the friendships that will be planted, I couldn’t help bun grin from ear to ear. It felt so good to worship God, in this church, surrounded by people who share this love I have for my farther. 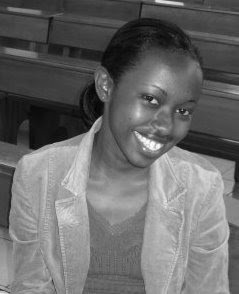 This last week I was with God, but I lacked fellowship. I was longing for this connection, that was now taking place. After the service and making many wonderful friends, a couple of new acquaintances and I set off for a Portuguese church service. When we entered the room we were greeted with joyful worship, lifted voices and clapping hands. During the service our new friend translated the message into english. Afterwards we conversed with our new Portuguese friends as well as we could, while eating chilies dogs. The whole night was such an amazing experience. On my walk home I felt so consumed by God’s love, everything about Florence was more beautiful then ever. During the month of August the Florence Gospel Fellowship International met in our apartment mid-week and also on Sunday evenings. This is a picture of our last Sunday gathering. After we depart for southern Italy the church will meet at its regular location on Via de' Benci 9.Pray for this church as it plays a unique role here in Florence. It is one of only a few English speaking churches here and has an appealing non-denominational approach to ministry. This is very attractive to students who come from many different countries and backgrounds, as well as visiting tourists. It also provides a non-threatening evangelical Christian community for Italians who know little of Christianity outside of the context of Catholicism. I just wanted to express my gratitude for the service last evening. Coming to Florence as part of a study abroad, I was honestly scared that I wouldn't be able to find a community of believers. I am so blessed to have come across this church community! A family of believers is consistent part of life that I have need in traveling from America to Florence. Greetings from Canada! My wife and I worshipped with you guys a few weeks back as we were backpacking through Europe. We were blessed and encouraged by you guys and we definitely felt that God was doing awesome things in your church! May you feel the blessing of God as He continues to spread your influence in the city of Florence! Hello! It was wonderful coming to service on Sunday evening at Florence Gospel Fellowship. Thank you for the encouraging message, and for providing on opportunity for us students to get to know one another afterward. It was such a refreshing time to come together with fellow believers. 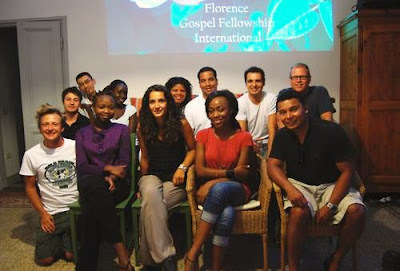 Hi, Florence Gospel Fellowship "International!" We wanted to thank you for your ministry to students and tourists to Florence! We loved the ONE service we attended on June 28 and our daughter Jessica gets to fellowship with you every week for 5 weeks! You are making a huge difference in people's lives and forging lifelong friendships for some! Thank you again! I hope we see you again, maybe next summer! 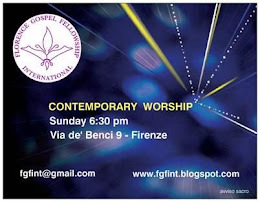 I just wanted to let you know that I have been to Florence Gospel Fellowship the past two Sunday evenings and I have been very touched by the music and both messages! Thank you for welcoming study abroad students like myself to this very special place of worship and fellowship! It has been such an answer to prayer and I am thanking God in advance for what He has in store for the remainder of the semester! Please add my name to the email list so that I can stay up-to-date on what is going on at FGF! Christ is the Answer! As I serve with FGF I desire to see God's heart and mind for every individual realized in whatever capacity or role the Lord Jesus would have me play by His Grace. Be it supporting in prayer, serving, or simply being available as a sister and friend. Hi! How are you? I hope you are both doing well. It has already been a month since I've come back from Italy. I have been doing well. 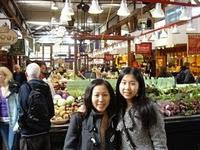 I visited my sister in Seattle, Washington for one week, and have been home for two weeks now. I am now teaching art and piano at a music and art program, and working at my dad's church as a volunteer. Our church is starting a new English service. We had the first service last week. We have some college students, high school kids, and many children in the English service right now. I am teaching sunday school to the elementary class. After coming home, I feel more sensitive to the foreign students who are here to study. I was encouraged to help them, just as you have both done for me. My parent's house has changed a little - it feels even more like a Christian Center. My parents like to rent out our rooms to foreign students, and there are people over more often. 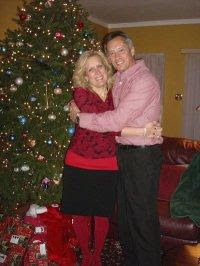 I have told my parents about you both, and Florence Gospel Fellowship, and they thank you for your prayers. I am so thankful to have attended FGF. What you have both done for me and other international students has made such an impact and is a blessing. It was a really great time, and I learned so much. Thank you for all that you do. I miss you both, and I will be praying for you and FGF. Hi, my name is Jessi Eaves and I am a student at Syracuse University studying in Florence for the summer. I was at the Academy today to see the David and saw the Christian Bookstore and wandered inside and saw your flyer in the door. When in NY I go to Campus Crusade for Christ at Syracuse and attend a nondenomination church on theweekends. I have been in Florence for 2 weeks now and have been pretty homesick and definitely missing Christian Fellowship. It was a complete answer to my prayers to see your sign, definitely a huge encouragement.I am definitely interested in stopping by while I am in Florence. Thanks so much in advance! Dear church, Thank you for loving us so well this semester. Everytime I came, I was reminded of what the Body of Christ looks like. Everything pointed back to the power of the cross and Jesus. Thanks for everything and you all will be in my prayers as you continue to grow and reach Firenze!